Our nurturing environment encourages our youngest students to feel secure and helps them start to build their independence. We balance a rich, academic environment with creative and purposeful play, helping students construct a solid base of knowledge of the world around them. A skilled, dedicated educator who is an expert in early childhood education and inquiry-based learning leads each classroom. 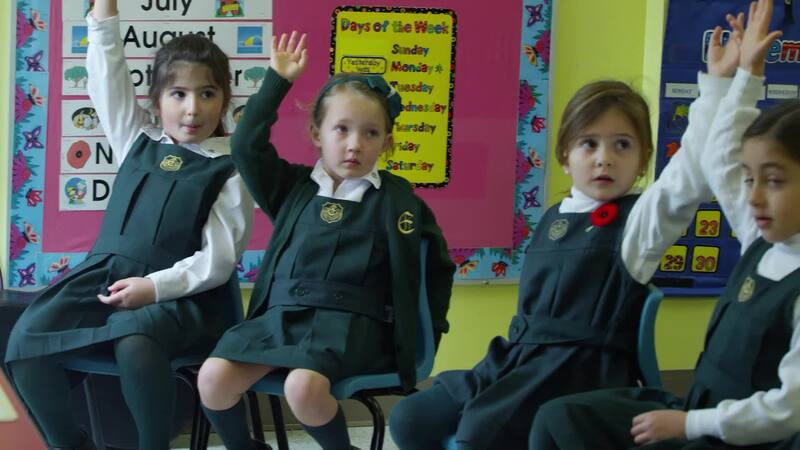 In our purpose-built Junior School, the Kindergarten classrooms are designed to meet the needs of our youngest students. Through experiential and imaginative play, Elmwood students engage in early literacy activities and tackle mathematical problems using a variety of strategies, helping them establish a strong foundation for their future studies. We see parents as key partners and encourage parental involvement. Report cards, newsletters and regular home/school communication keeps parents informed of their daughter’s progress and provide helpful tools for supporting the learning process at home. Peek inside a middle school classroom at 12:30 on any given Tuesday and you might find girls working on their crow pose. If it is Thursday, you could see girls designing and coding their own online game, or learning about how to manage money.